Many people locally have been deeply touched by the events in Nepal following two major earthquakes and the tragedy that has unfolded. 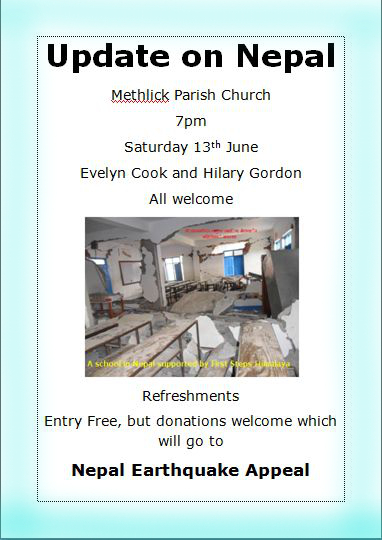 Hilary Gordon and Evelyn Cook will give an update on work being done, supported by local Rotarians, to assist in the relief effort. All welcome with donations going to the Nepal Earthquake Appeal.